At Chester County Hypnosis, I offer the best Weight Loss Hypnosis in a completely healthy and positive way. My easy, proven methods let you start losing weight the first day and continue losing it until you've reached your slim and trim ideal weight. And surprisingly (for you not for me), you can do this without any of the struggles, the guilt, the drugs, the unhealthy fad diets, expensive food purchases or painful workout regimens that you've might have tried before. The high success rates of my clients speak for themselves, however, the ease with which they make these wonderful, positive changes is the great benefit. My actual success rates are close to 100% for those who are willing to follow some simple instructions. In the past, our minds were our worst enemies when it came to losing weight. We ate when we were tired, when ate when we were lonely, we ate when we were angry and we ate when were bored. We also ate when we were sad or upset. We even ate when we felt good and we ate when we felt happy. We ate to remember and we ate to forget. You can see that we ate for all the wrong reasons, we ate for Emotional reasons, not for the Physical reasons that we actually need to eat for. From the first time as a child when we were given food in response to an emotional situation, we've had a powerful subconscious connection between food and comfort. And, unless we can change that powerful subconscious connection, we will always have difficulty reaching or maintaining your ideal weight. At Chester County Hypnosis, my programs are the easy way to break those emotional connections and begin eating the right foods for the right reasons. We are able to eat to be healthy, well and to feel and look good. No longer will we feel the need to eat for comfort but instead have the desire to eat for strength and vitality. Every day, we can enjoy the physical and mental well being that comes naturally with eating right. With hypnosis we can quickly and easily abandon our old, unhealthy habits and form new, healthy ones. In my program, you are taught how to hypnotize yourself and how to use it to keep yourself relaxed, motivated and always living towards your ultimate goals. It is the secret behind all highly motivated achievers and is the pathway for our conscious wants and desires to become our subconscious beliefs and behaviors. Don't spend any more time gaining when you can be losing. Call me today at 610-296-4929 and discover how and why it can be quick and easy for you to look like you want and stay there. I begin with a three session plan that starts you losing and that makes it easy for you to progress steadily to you becoming the person you want to bet, and to stay there. I start with Three Personal 2-Hour Hypnosis Sessions in which I address the subconscious obstacles standing between yourself and the person you want to become. We focus on your new goals and expectations and put in place a plan you help design and manage in order to get to where you need to be, the new you. You are taught how to hypnotize yourself and your success requires that you do it daily as instructed, it's not hard and, in fact all of my clients love it. One of our main objectives at Chester County Hypnosis is for you to become aware of how easily you can make these changes that you want and need. It's easy, healthy and natural and the way to Lose Weight and keep it off forever. Our plan is also available as a Gift Certificates for someone you care about. Never let circumstances dictate your future. Whether you realize it or not, you have all the power needed within you, at this very moment, to make any changes you want to make, including to be at your ideal weight. Hypnotism has proven to be the easiest and most effective method for permanent loss. Only by changing your mind can you really change your body. With my method of sessions and Self-Hypnosis, you can have increased motivation, less procrastination, a positive, optimistic outlook and enjoy your life much more. I could really be helping you now, so call 610-296-4929 today for a free telephone consultation. I'd be glad to answer any questions that you may have. 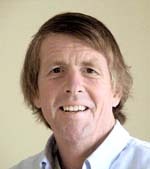 I'm Joe Nunan CH,CI and at Chester County Hypnosis I believe that the client always come first. My services all are designed for maximum benefit to those who want my help and I have the results to back me up. Life is tough, and there is no reason to make it tougher on ourselves. My highly successful hypnosis and hypnotherapy programs and sessions will help you to finally take control of your future. You can, and should be at your ideal weight right now. You can, and should be enjoying yourself and your life right now. In a few quick and easy sessions, we can make that happen for you. Imagine how much better you will feel. Chester County Hypnosis could be helping you now, so call 610-296-4929 today. A few moments on the phone may not seem like much, but it could Help to change your life. Chester County Hypnosis provides a safe and effective way to be able to easily make changes that you really want, but have had difficulty accomplishing. Hypnosis has long been been approved by most Medical and Health Care organizations as a safe and effective treatment. It is a method with long-proven results for Weight Loss, Quit Smoking, Stress Relief, Sleep Improvement, Fear Elimination, Memory Improvement, Improved Self Confidence, Remove the Fear of Flying, Increase Self Esteem, Improved Pain Management, Equine Performance, Sports Performance, Sexual Performance, Public Speaking and Career Advancement. Hypnosis can help in Sales Improvement, Past Recall, Improving Learning and Testing, Improving Attraction of Wealth, Increasing your Spirituality, Improving your Health and Wellness, Increasing Motivation, Eliminating Procrastination and Enjoying your Life much, much more. I know those sound like fantastic claims, but my clients are doing it all the time. Hypnosis allows you to unlock the true power of your subconscious mind and easily accomplish what you want. Joseph Nunan CH is an internationally known, fully Certified Hypnotist, Certified Hypnosis Instructor and member of the Teaching Faculty of The National Guild of Hypnotists, the oldest, largest and most respected hypnosis accrediting organization in the world. Chester County Hypnosis operates according to the National Guild of Hypnotists' Code of Ethics and Standards and I consistently provide my clients the very best services, to help them accomplish and surpass all of their desired goals. My primary purpose is to enable my clients to quickly and easily achieve positive personal change. Whether it's Hypnosis for Weight Loss, Hypnosis to Quit Smoking or Hypnosis for Eliminating Bad Habits, I can help you improve your life quickly and effortlessly. I've compiled an extensive Frequently asked Questions about Hypnosis Page to answer some of the most common questions that our clients ask. Chester County Hypnosis is located off Rte 3 in West Chester and is easy to get to from anywhere in the Philadelphia area, including Exton, King of Prussia, Valley Forge, Malvern, Paoli, Main Line, Downingtown, Phoenixville, Great Valley, Unionville, Kennett Square, Coatesville, Glen Mills and Philadelphia. With close access to Routes I-76, I-476, 202, 30, 252 and PA Turnpike, our clients find that we are a short drive from anywhere in Southeastern Pennsylvania, Northern Delaware and Southern New Jersey. See our Directions page for complete directions for your appointment.